After repeat traffic violations or DUI charges in Illinois, license suspension or revocation can occur. When faced with an inability to operate a vehicle, every aspect of daily life can become challenging. From shopping to commuting back and forth from work, an inability to drive is frustrating and time consuming. Often, without a DUI lawyer in Peoria, IL, those with a suspended or revoked license are unaware of the options available to restore legal driving privileges. At Brave Law Center, P.C. we make it our mission to help those in the Peoria, East Peoria, Bloomintgon, Canton, and Pekin, IL communities restore their driving privileges. In the state of Illinois, repeat traffic violations result in points accumulated on your driving record. Once this amount surpasses 14, an individual’s license can be temporarily suspended. With penalties ranging from a two-month suspension to full revocation, multiple traffic violations may require the help of an experienced attorney. After one DUI charge, a driver’s license is often suspended within 60 days of arrest – unless you secure a proper DUI lawyer in Peoria, IL. Without an attorney, your driver’s license may remain suspended until your court case is completed. Individuals with multiple DUI charges have different options available when attempting to reinstate a driver’s license, the details of which are best discussed with an experienced DUI lawyer in Peoria, IL. While traffic violations and DUI charges can be intimidating, it’s never wise to avoid addressing them. Procrastination in these matters will only lead to more severe penalties down the road. Consulting with an attorney about your case will ensure that all available legal options are explored. 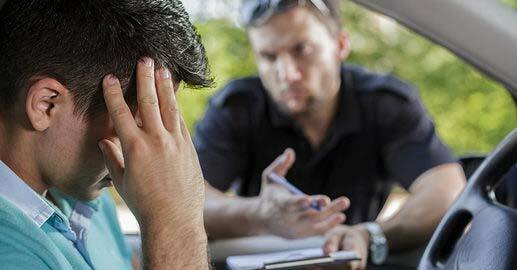 In many cases, a DUI lawyer in Peoria, IL from the team at Brave Law Center, P.C. is able to expedite the process of driver’s license reinstatement. If you’re in need of professional legal counsel, contact Brave Law Center, P.C. today.